After announcing that Dragon Quest XI: Echoes of an Elusive Age is coming west to PlayStation 4 and Steam on September 4th with some updated features, Square Enix has decided to making Dragon Quest the latest collaboration event in their hit mobile RPG Final Fantasy Brave Exvius. 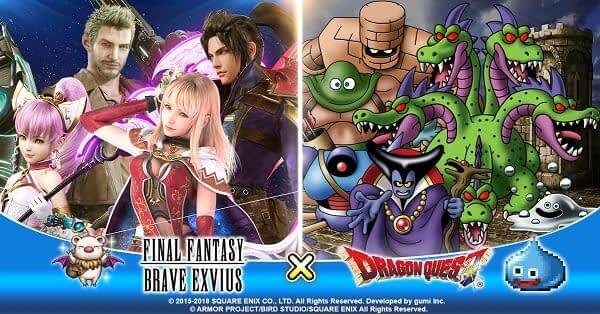 Starting today, Final Fantasy Brave Exvius players can go up against legendary Dragon Quest monsters and obtain some exclusive event items. All players that launch the app during the event can dive into wave battle-type quests where consecutive groups of monsters can be fought for a limited period of time. 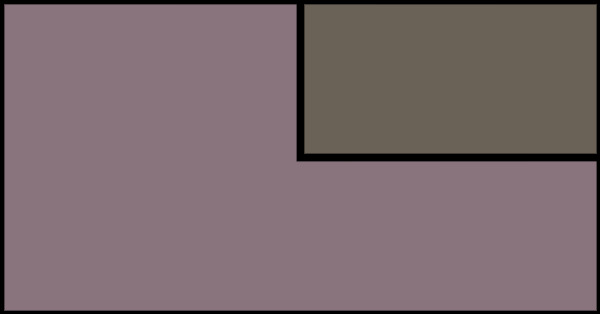 Dragon Quest monsters like Golem and Robbin’ ‘Ood can be found in regular battles, while formidable foes Dragonlord and Orochi will be classified as bosses. Medals earned from defeating these monsters in raids may be exchanged for Erdrick’s sword, among other famous equipment and items from the Dragon Quest series. Players have the chance to obtain the Dragonlord, Liquid Metal Slime, Robbin’ ‘Ood, Golem, Killing Machine, and Orochi from rare summoning during the campaign period. Also, Slime units will be awarded to all participants as daily login bonuses throughout the campaign, with additional Slime units obtainable by trading medals earned during the event period. Previous collaborations have included Tomb Raider, Final Fantasy XIV, and strangely enough, Ariana Grande‘s Dangerous Woman tour. is available as a free-to-play app on the Apple App Store, Google Play and on the Amazon Appstore. Did You Know Its Dragon Quest Day in Japan?